Online shopping is booming and last year alone we saw an incredible £114bn spent online. This trend is predicted to continue where we’ll see increasing numbers of retailers turning from high-street to online trading. We’ve also seen the rise in mobile technology, leaving consumers with an unprecedented level of convenience. These trends are only set to continue rising as we head into 2017. So for you, as a retail company this means if you don’t have an ecommerce website then you are most definitely missing out and letting your competitors take the lead! Without an ecommerce website you’ll be missing out on those all important customers searching for your products and that much needed revenue. The customer buying cycle now includes searching online to compare products, provide information and inform through additional content and reviews. Without an online presence you’re in effect cutting yourself off from these searches and allowing your competitors to benefit. Through having an ecommerce website and optimising towards search engines, you can expect to tap into new traffic sources, therefore attracting a new stream of interest to your products. The more effort you put into both your on and off-site SEO, the higher up in the Google searches you’ll become. Enjoy saving money? Yes! Well selling online means you can decrease your operational, setup and marketing costs. This is done through implementing a web-based management system to organise your inventory. You automatically reduce setup costs through minimising the need for overheads such as retail space and in terms of marketing it is much cheaper to market online rather than traditional advertising methods and can be targeted much more effectively. Knowing your customers demographics, genders, interests, searches and page views are crucial. 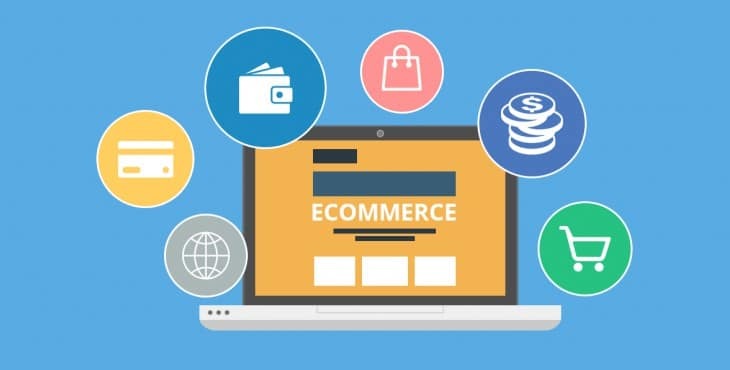 Having an ecommerce website simply means you can constantly keep an eye on your customer’s buying habits and satisfy their needs through offering tailored content, offers or discounts to stimulate purchase. Happy customers will review your products, leave ratings and spread your brand name to a much higher reach through their online channels. Being online means you can tap into these conversations, respond back to them and display them on your website as testimonials to help build confidence in your brand to others. You’ll also be more adapt to staying on top of the daily retail trends and news in order to react to the demands of the ever-changing market. Having a store on the highstreet confines you to just those customers within the immediate location. Put your brand online and immediately the world is literally your oyster! The best part is you can be open 7 days a week, around the clock meaning customers can purchase your goods at a convenient time for them. Earning money whilst you sleep… BINGO! So, do you own or work in a retail company that does not as of yet have an ecommerce website? You know the benefits of having an online presence but you don’t know where to get started? That’s where we come in! Give us a call or drop us an email, we’d be more than happy to chat through your requirements and provide some solutions to enable you to join the online world!